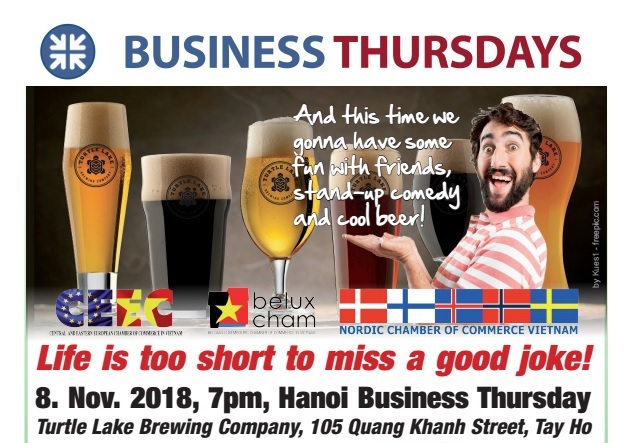 The organisers of Hanoi Business Thursday – Nordcham, CEEC and BeluxCham – are welcoming you to an exciting evening. 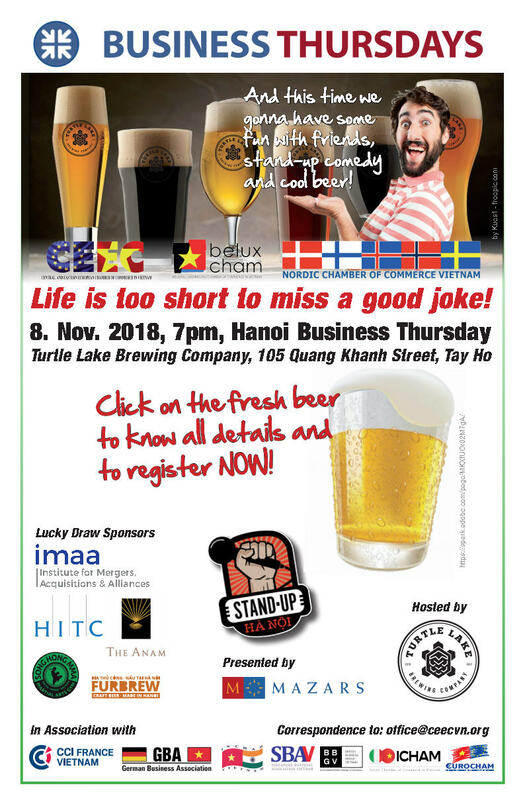 You will enjoy delicious crafts beer, a Lucky Draw and, that’s a premier, some amazing stand-up comedy acts performed by members of the Stand-up Hanoi Group best known by their regularly sold out shows at the Standing Bar. Meet friends, expand your network with a laugh and be one of the winners in our lucky draw! Pre-registration is required, so please register for the Hanoi Business Thursday HERE!